Staying on top in the tech world means constantly looking ahead. It’s easier, cheaper, and more effective to integrate new technologies while building applications instead of trying to work them in later. To that end, here’s a look at where enterprise technology is headed in 2018. Computer vision and natural language processing (NLP) are also considered narrow AI in their present forms, though they will likely be folded into general AI eventually. The use of narrow AI will expand dramatically in 2018. Major companies are investing in AI, like Ford’s $1 billion Argo AI project aimed at developing self-driving car brains. Cloud computing will push AI into the mobile realm, too. 79% of tech leaders say increasing AI usage is a priority, and 40% of digital transformation initiatives this year will include AI. Visual search is already seeing expanded use by major companies. Google is fine-tuning its new Google Lens, which lets users take a picture with their cell phone and execute a search based on objects within the frame. Pinterest has a Lens Your Look feature where pinners can take photos of their clothing to get style suggestions. T hey’re also upgrading their image search to a Responsive Visual Search, where users have the option to specify what interests them within a photo. Voice Search allows for search based on spoken commands. In the past voice search was so unreliable it inspired jokes on late night TV, but it’s improved a great deal. In 2012 the average error rate for voice search was 20%. This year that number fell to 8%. As the error rate has dropped, people are finding it much easier and more reliable to use. 87% of consumers think voice search is accurate enough to use. 21% of mobile users activate their voice search daily, with half using it at least once a week. The main draw seems to be the ability to safely use smartphones while driving: 53% of those who use voice search regularly do so behind the wheel. Because of the rising appeal of these features, expect heavy investment in computer vision and natural language processing throughout 2018. Smart contracts: Digital agreements can be structured with blockchain to be fulfilled automatically when specific conditions are met. AIG is testing smart contracts for international insurance policies. Preventing voter fraud: Each vote can be accounted for securely and transparently. This hold enormous appeal for civil rights groups looking for ways to prevent rigged elections. Secure resumes: Create an unalterable CV that lets HR managers trust international hires. Secure resumes are especially helpful for jobs with security concerns. International payment systems: Blockchain provides a method for making payments around the world without worrying about embezzlement or funds being intercepted. Transparent supply chains: Secure tracking eliminates confusion and highlights trouble points in the supply process. It could improve global trade by instituting a level of accountability and trust between trade partners. Secure health records: Hospitals can provide better care and cut down on waste and abuse with an unalterable medical record. Blockchain technologies are growing in number and sophistication. More than 2500 new blockchain patents have been filed over the last year. Analysts predict that blockchain will disrupt the insurance and banking industries in particular. This year, technological advances are pushing augmented reality beyond gaming. AR will find a home in other industries. Retail: RayBan and tattoo shop Inkhunter both have “try on” apps that utilize AR. Education: AR maps constellations over a live camera image of the sky or highlight geological features in real time. Travel: AR gives translation apps a boost by overlaying translations on signs or menus. Investment in augmented reality is rising. Spending will double in 2018, going from $9.1 billion to $17.8 billion by the end of 2018. Commercial use will make up 60% of that spending. Some analysts suggest that 85% of all AR investments will be commercial (as opposed to games) by 2020. Google, Apple and others are planning AR glasses, but mobile devices are the priority for 2018. They offer a wider audience with lower investment costs. As companies push digital transformation, the talent gap will be more keenly felt. There are 3 million more STEM positions than available workers right now. 40% of companies looking for tech talent aren’t in the tech industries, just forward-thinking companies looking for help with digital transformation. The fields in highest demand are data science, business intelligence, digital security, and cloud computing. There’s also a call for experienced project managers. 65% of tech leaders say that hiring shortages are holding their digital development back. That’s up from 59% last year. How are they getting around the skills gap? 60% use third parties to support organizational bandwidth. 55% are outsourcing some or all of their analytics needs. Expect fierce competition for experienced tech talent in 2018. Nurturing loyalty in employees with tech skills and offering attractive retention packages will become critical to prevent losing staff to headhunters. Global enterprise investments in data and analytics will surpass $200 billion a year by 2020. 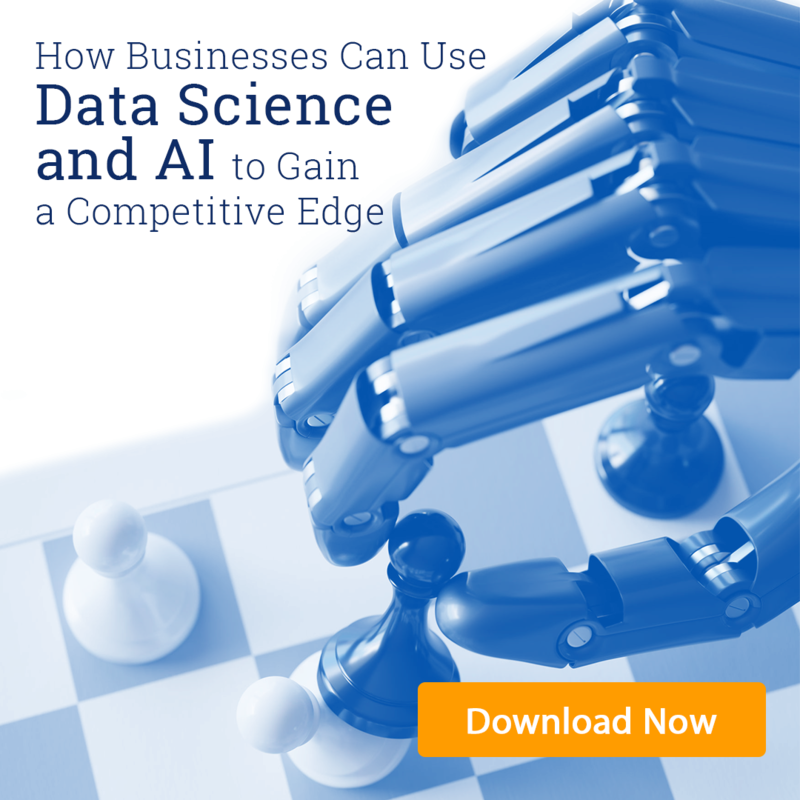 Companies will be looking for ways to quantify business functions where possible in order to get the best possible ROI from these investments There is a proven advantage to pushing predictive analytics. 48.4% reported measurable results from Big Data investments. This year, they want to spread that success throughout their organizations by setting quantifiable goals and enacting data-driven operational programs. Security threats have been a major sore point in 2017. Ransomware attacks rose sharply. Shadow IT and casual “bring your own device” (BYOD) policies exposed companies to hacking and theft. There was an overall 164% increase in breached records last year. Not only big corporations get hit: 43% of cyber attacks target small to medium businesses. To meet evolving threats, security software itself needs to evolve. The focus is shifting from brute strength protection to intelligent detection and response. Adaptive security software should continuously monitor and scan for threats and address issues on its own. Once the problem has been addressed, the software should make changes to fix the weak spots exposed by the attack. That flexibility is where security companies will focus moving forward. Security needs to be built into software from the beginning, so 2018 will see increasing collaboration between security personnel and programmers and project managers, as well. Between increasing amounts of data, a fast-paced global economy, and a tech skills shortage, companies need strategies to do more with less resources. Automation meets that need by taking tedious or routine tasks off human hands. Highly automated companies are six times more likely to experience revenue growth of more than 15%. Companies are responding to such a clear demonstration of potential: 54% of global companies use automation technologies, and more plan to do so in 2018. The biggest increase will be IT and data management. Automation will also shorten software development cycles without decreasing quality (through automated testing) Where will 2018 take your company? If you’re looking to push digital transformation, Concepta can show you the way! Our developers have the right skills to help you visualize your data and unite your digital operations. Schedule your free consultation today!